Its strange to visit a place at the end of March and being told its the coldest time of year. 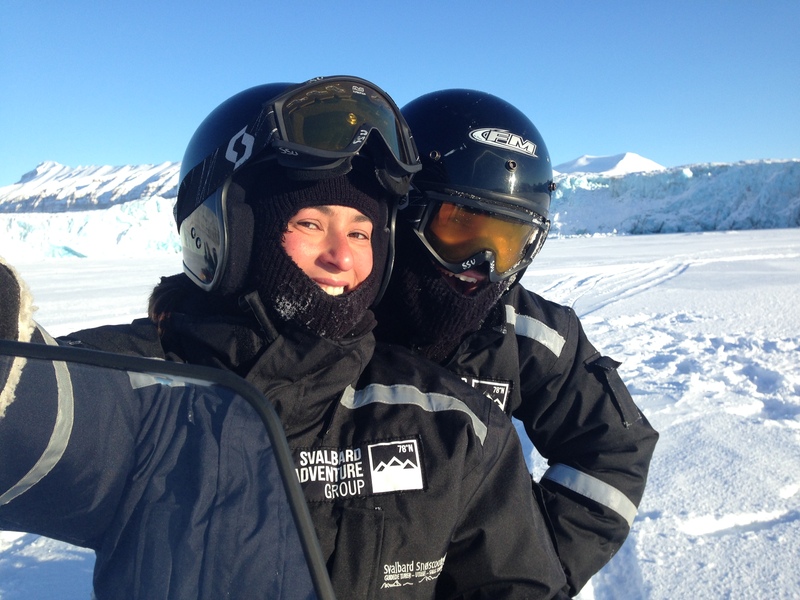 But in Svalbard, where 4 months of absolute darkness have just ended, the sunshine doesn’t make it any warmer. Me and my photographer friend Mike have made it an annual tradition to travel to the arctic, and after a couple years in mainland Norway, Svalbard was the one place further north we could steal easily travel to, play with huskies, and roll around in the snow. We were there for 5 days and every day grew longer by half an hour. From the 1st of March to the 31st of March, the number of daylight hours increases by 8 hours! We stayed at the Coal Miner’s cabin, where our room was in a different building than the breakfast room, and just walking across 50m wide, totally iced parking lot chilled you to your bones. It was more than minus 20`C with the windchill, and walking the 1km into town and back was always a fight against the wind not blowing us over, trying not to slip on the ice, and making sure we could still feel all our fingers and toes. The condensation of our breath would freeze on our scarves and any extra humidity from our faces would form icicles on our eyelashes and nose hairs. A German student had been living in my room in Iceland all winter, and then spontaneously moved to Svalbard to study arctic foxes, so it was nice to say I new someone in town. Otherwise it was a small, friendly little population, mixed with Norwegians, Russians, scientists, and tourists. We had just missed a total solar eclipse, but that made it easier to get accommodation and excursions. 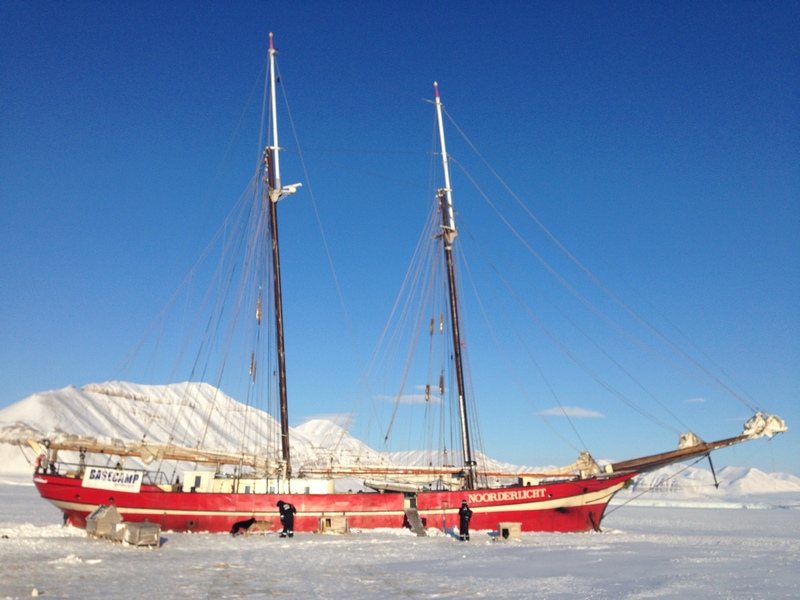 We went snowmobiling to the Ship in the Ice, a dutch sail boat that gets frozen in the ice over winter and serves as a hotel and restaurant. After lunch there we got upclose to some glaciers, reindeer, and seals popping through their holes in the sea ice. 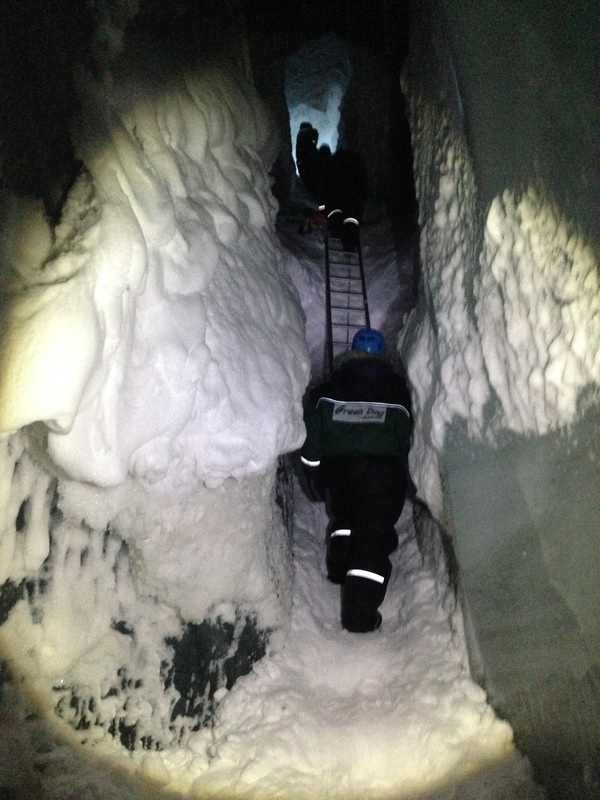 Another day we went dogsledding with Green Dog to an ice cave, and if was a pleasant surprise to feel so warm inside the cave which was only minus 4`C. 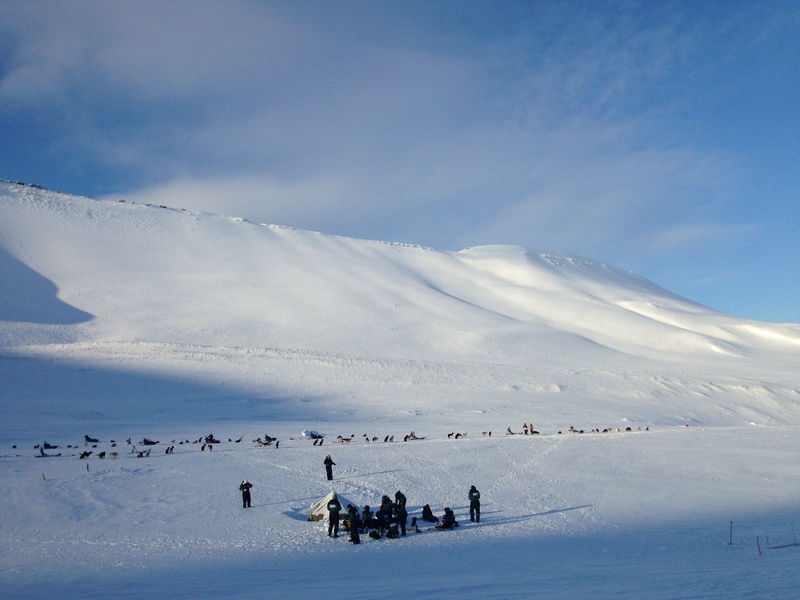 The first sights we saw after landing in Svalbard and driving to town was a camp ground (with people tenting there! ), and a lone reindeer grazing beside some fluffy Icelandic horses. The airport in Longyearbyen is special because even though you’ve flown in from mainland Norway, and you’re still technically in Norway, you’ve left the European Economic Area and the Schengen community. So you’ll need your passport to go there, and alot of norwegian kronur – it might be the only place in Norway more expensive than Oslo! But alcohol isnt taxed so that can save your budget. Always cool to read about your travels Katrín 🙂 I’ll be in NY for august and that sums up my travels this summer aside from local excursions to the island and around the coast. Forest fires are everywhere right now in BC and the days have been orange and smokey in Vancouver for a few days now.